In 1985, Coca-Cola decided to reformulate their soda in order to keep up with their main competitor, Pepsi. They called this “New Coke” and claimed that it improved the taste of the original. They also paid millions of dollars to advertise the revamp of the product with the slogan “New Coke Is It!” The commercials featured icons that they believed were popular with young people, like Bill Cosby and the character Max Headroom. The executives at the company never expected what happened next. There was a huge backlash from consumers, and nearly everyone wanted their classic Coca-Cola back. It caused a bit of a panic, as well. People were stockpiling bottles of Coca-Cola from grocery store shelves. Their biggest mistake was that they had no idea how consumers actually felt about their product. Pepsi even used this fiasco to their advantage, coming up with a commercial featuring a group of angry old men complaining that “they changed my Coke” and choosing to switch to Pepsi, instead. So the CEO of Coca-Cola had to appear on TV and apologize to everyone, promising that they were going to get rid of New Coke. Steven Sasson began working for Kodak in 1973, and they allowed him to use their equipment to build his own projects. After tinkering around, he came up with a primitive form of the digital camera using what was called a “charged coupled device.” He presented his invention to Kodak executives in 1975. Since this was years before memory cards existed, Sasson had to keep the still images on a VHS tape, and the only way to view them was by putting them into a VCR and seeing a tiny 100×100 pixel black and white image on a television screen. Kodak thought this was far too much effort for such a low-quality image, and that people would never want to look at still pictures on their TVs. That wasn’t the point, of course, because this was incredibly valuable technology, and the very beginning of digital photography. Sasson eventually left his job at Kodak and partnered with Robert Hills in 1989 to build the first DSLR camera. Fuji and Nikon became the first companies to begin selling digital cameras, and Kodak missed the boat, potentially losing millions of dollars in sales. In 1928, rubber was very expensive to manufacture. It had to be tapped from rubber trees in a tropical climate, and it was shipped to the United States from Sri Lanka. Henry Ford was buying massive amounts of rubber to make tires at his car factory. Synthetic rubber had been invented in 1920, but at the time, companies believed that real rubber was far superior, and would even warn customers against buying tires with fake rubber. He figured that if he built a factory in South America, he could produce the real rubber himself, instead of having to pay a third party. He rented land from the Brazilian state of Para that stretched across a massive 5,625 miles of the Amazon rainforest. He paid $125,000 for the rights to use that land, which would be more like $1,750,000 today. It turns out that he got ripped off, though, because he could have purchased the land for next-to-nothing. Since he had use of so much land, he decided that they needed a factory, houses for employees, stores, a dance hall, and a school. Soon enough, this was a fully functioning town called Fordlandia. To those who lived there, Henry Ford was remembered for being a bit controlling over people’s lives. He only allowed citizens to eat very healthy food, and alcohol was strictly forbidden. By 1930, there was a riot among the workers, and he lightened up on the rules and tried to make it more enjoyable to live there. To make matters worse, Ford did not anticipate how difficult it actually was to farm rubber, and they were never able to manufacture it. To make matters worse, artificial rubber would become the new norm for his competitors, which was far cheaper to make in the US. Fordlandia became a money pit. He decided to completely give up on the project and move back home. The old factory and ghost town still remain standing to this day. 7. M&M’s Turned Down The Chance to Be in E.T. E.T. : The Extra Terrestrial premiered in theaters in 1982, and it far surpassed even Star Wars with its box office success, becoming the highest grossing film of its time. With this type of notoriety, just about any brand in the world would pay big bucks to have their product featured in that movie. There’s a scene in the movie when Eliot uses candy to lure E.T. out of hiding. Universal Pictures first approached Mars Candy to see if they were interested in paying for product placement to have M&M’s brand chocolate be featured in that scene. They turned it down, because they did not want to be associated with a movie about extraterrestrials. Of course, they had absolutely no idea just how much of an impact the film would have. Hershey’s accepted the offer, and paid to feature their Reese’s Pieces candy. Immediately after the premiere of E.T., sales went up 65%. That year, Hershey’s earned $35 million on Reese’s Pieces alone. Schlitz has been called “The Beer that Made Milwaukee Famous.” The brewery was started in 1848 by German immigrants, and it was known as being one of the best-tasting beers on the market. In the 1940s and ’50s, Schlitz and Budweiser were battling head-to-head in their spot for the #1 beer in the United States. In the early 1960s, they decided to change their formula in order to cut costs and make production faster. They reduced the amount of malted barley and replaced it with corn syrup, and used hop pellets instead of fresh hops. At first, their plan worked, because they were able to speed up the process and sell more Schlitz beer in a short period of time. However, consumers could taste that the beer was nothing like it had been before. Even though fans demanded the better-tasting beer, and Budweiser pointed out that they were using unnatural chemicals in their brew, Schlitz didn’t listen. They stuck to their plan of trying to produce their beer faster than Budweiser, so they began using chemical beer stabilizer to produce “accelerated batch fermentation.” After testing this new formula, the employees noticed that it cause a hazy “mucus” to form on the top of the beer, but the company pushed this formula out into the market anyway. Customers refused to buy it, because they were afraid it would make them sick. So Schlitz was forced to recall $1.4 million of beer. Their reputation was permanently damaged, and they were never anywhere close to being the #1 selling beer again. By the 1980s, they were closing factories down, and the company lost over 90% of their original value. Schlitz was purchased by the Pabst Brewing Company, and by 2000s, they began to advertise that they were finally going back to their original formula. It was just a few decades too late. For over 100 years, Ford had an ongoing contract where they agreed to only put Firestone tires on their cars. The two corporations were so close that even some of the Firestone and Ford heirs got married to one another. From 1992 to 2000, there were 20 incidents of Ford Explorers getting into serious accidents, all because the tread of their Firestone tires would peel off until they were completely bald. Ford recalled all of their Explorers to remove the Firestone tires, and the CEOs of both companies had to appear in court to answer for the deaths of those people. Both companies blamed the other. Ford was saying the only issue with the car was the tires, but Firestone pointed out that those same tires were used on multiple cars, and yet they only fell apart frequently on the Ford Explorer. There are some people who believe this was an elaborate conspiracy by Ford to get out of their century-long contract so that they could save money by purchasing tires from another company. 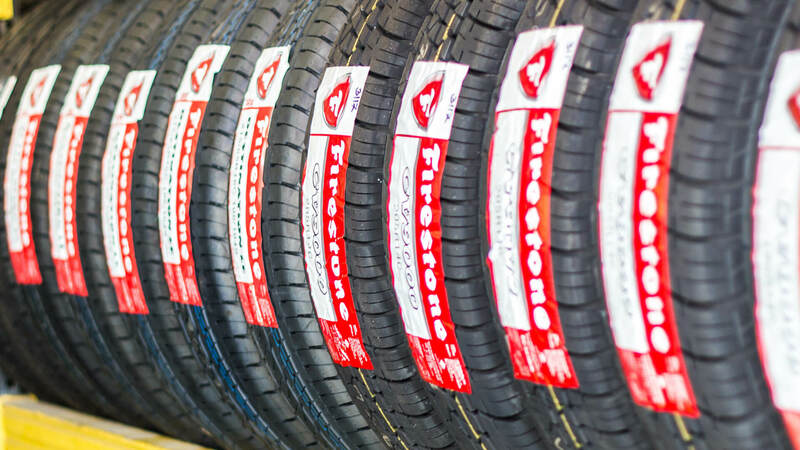 However, it turns out that Firestone had a long history of losing millions of dollars’ worth of recalled tires, and they paid $500,000 fines as far back as the 1970s. In the ’90s, a company called Excite owned Ask.com, and they were a leading search engine website. In 1998, they were worth $150 million. In 1999, Larry Page and Sergey Brin founded the Alphabet company, and came up with their own search engine, Google. While it’s hard to imagine now, Page and Brin were willing to sell Google.com, along with its valuable search algorithms, for just $1 million. However, the CEO of Excite, George Bell, was feeling confident in their dominance at the time, so he tried to talk them down to $750,000. They walked away from the deal, and decided to keep Google for themselves. They decided to raise funding to help them improve the company and re-launched Google.com. The company went public in 2004, and obviously, this was a great move. These days, Google is worth about $753 billion. In 1994, Snapple was one of the hottest beverages on the market. Instead of soda, it seemed that people were buying into the trend of drinking fruit juices and tea. Quaker decided to buy Snapple for $1 billion, because they were so confident that the beverage brand would only continue to skyrocket in price. The chairman of Quaker, William D. Smithburg, had purchased Gatorade in 1983, and he used clever marketing to make it extremely popular. The drink became a staple for kids to drink at every after-school sports practice in America. Smithburg was overly confident that he could do the same thing with Snapple, even though he was buying the company at the peak of its value. Unfortunately for them, they weren’t making profits fast enough. There were already so many similar drinks on the market at that time that there simply wasn’t enough of a demand. 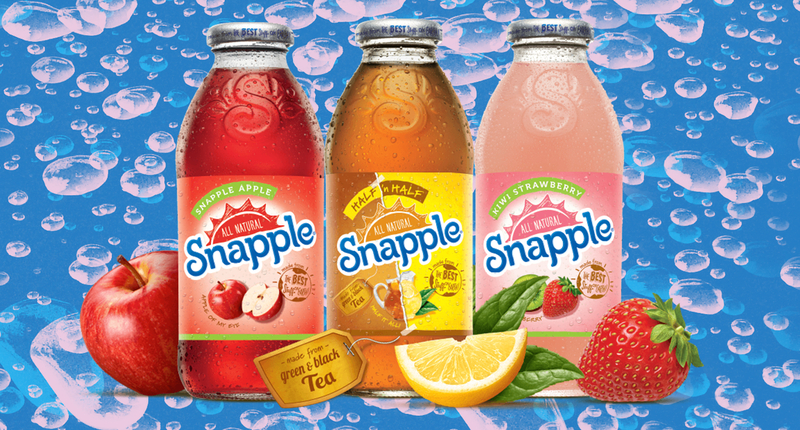 In 1997, they had to sell Snapple for just $192.5 million. To put this into perspective, this means that Quaker lost $1.6 million dollars for every day it owned Snapple. Pan Am Airlines was founded in 1927, and they were the first to make an international flight to Cuba. In the 1930s, it built itself up to become one of the most iconic airlines in history. It was known for hiring beautiful stewardesses, its comfortable seats, and its accommodating service. By the 1950s, they were the only airline that regularly made flights across the Atlantic and Pacific oceans. The company was so iconic it even inspired a TV show in 2011. Unfortunately, the company ran into a string of bad luck. There are lots of reasons why it failed, but there were a few key events that lead to its demise. An energy crisis in 1973 increased the cost of fuel, and lead to an economic recession. Then, in 1978, the government deregulated the airline industry, which lead to more competition. And in 1985, there was a worker’s strike, and it forced Pan Am to sell their Pacific flights to United Airlines. In 1986 and 1988, there were two seperate terrorist hijackings. They couldn’t catch a break. No matter how hard they tried, the airline simply couldn’t keep afloat and officially shut down in 1991. In 1982, seven people in Chicago died after taking Tylenol Extra Strength capsules that were laced with potassium cyanide. After this, Americans were having a crisis about what is now known as the Tylenol Murders, and everyone was afraid of taking the medication. It turns out that this was the work of a terrorist, and they were able to open and fill plastic capsules with cyanide. This could have completely ruined the reputation of Tylenol, but their crisis management team responded by recalling 31 million bottles of their product, which cost the company $100 million. They also offered a $100,000 reward for any information leading to the person responsible. They release a new bottle that was tamper-proof, and educated people on the importance of never taking medication that looks as if someone had opened the bottle before. While there are several theories of the identity of the Tylenol Killer, their identity has never been confirmed.